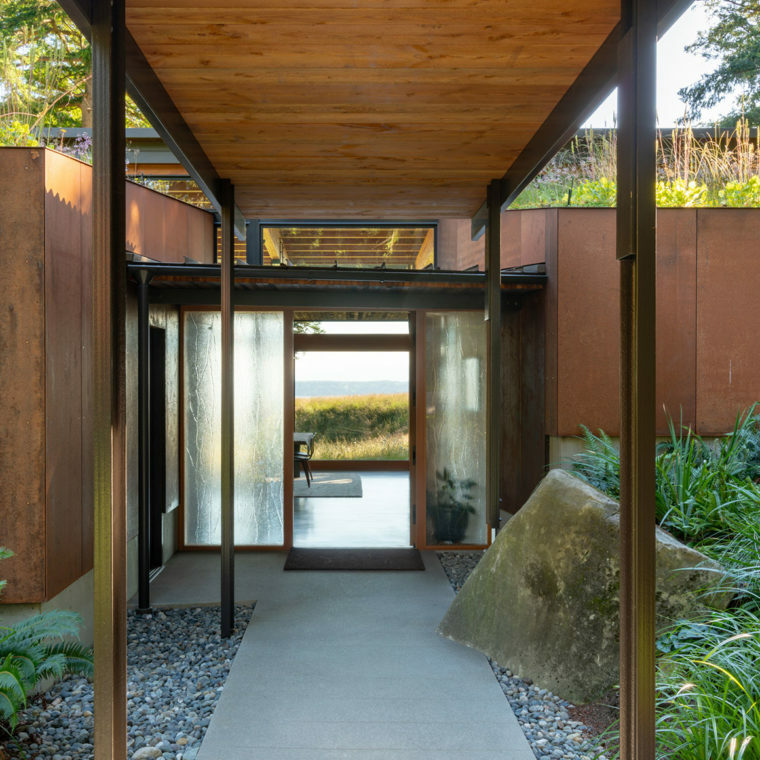 A palette of stone, metal and wood seamlessly connects indoor and outdoor spaces through simple and compelling expressions. 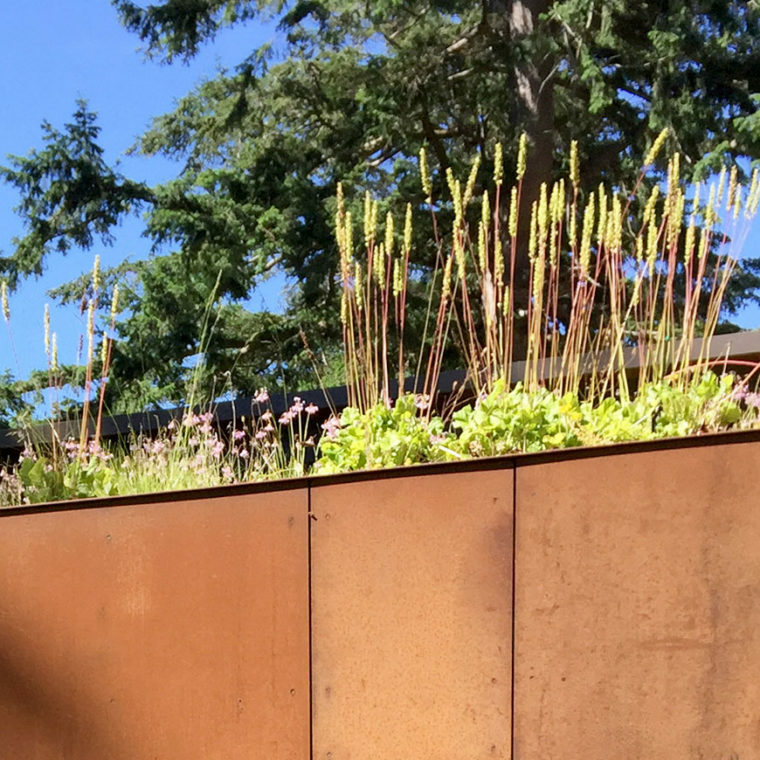 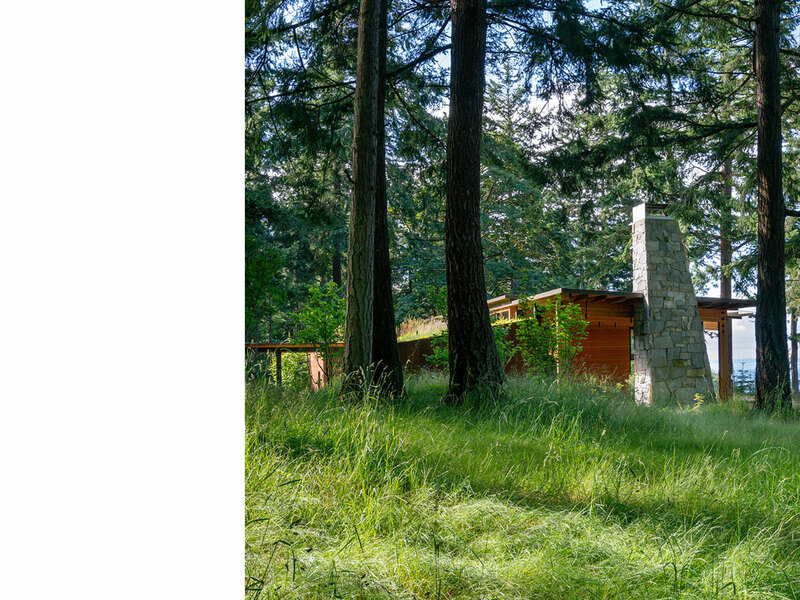 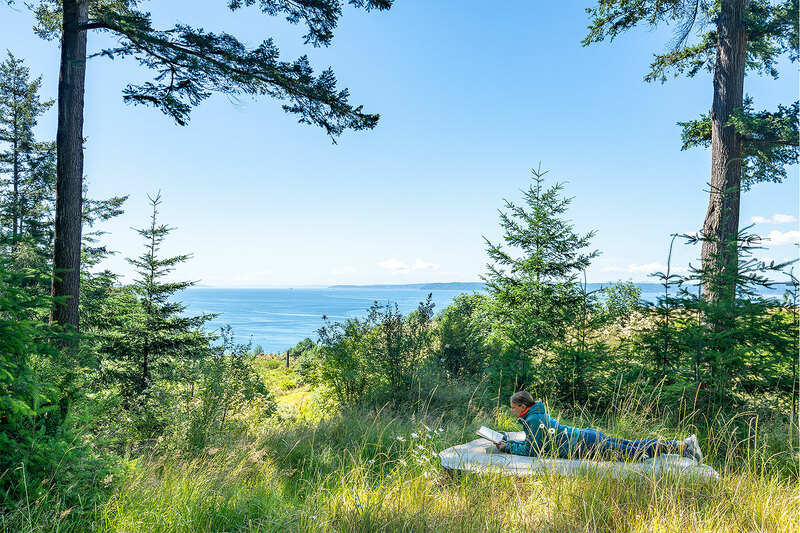 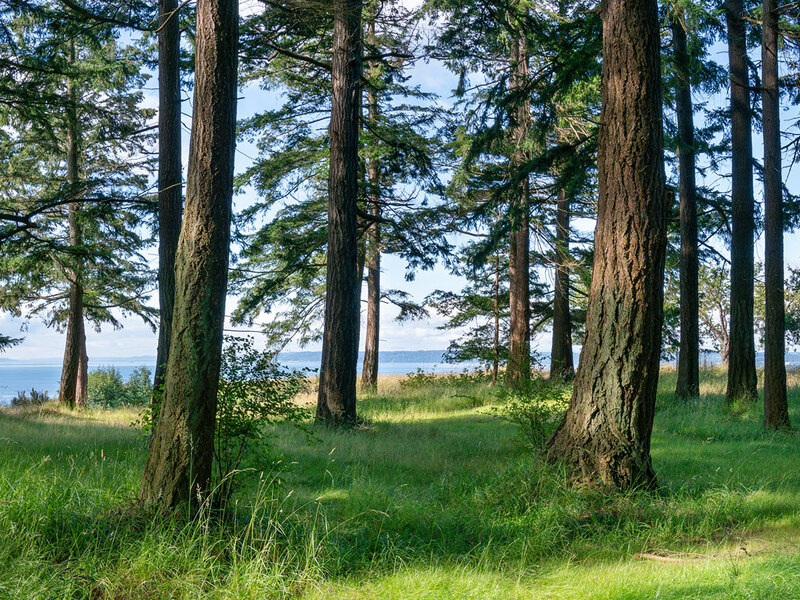 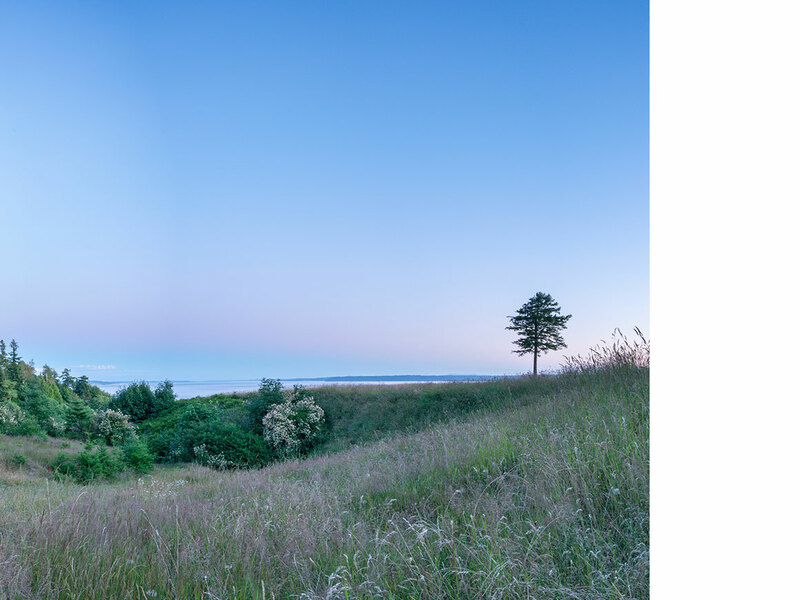 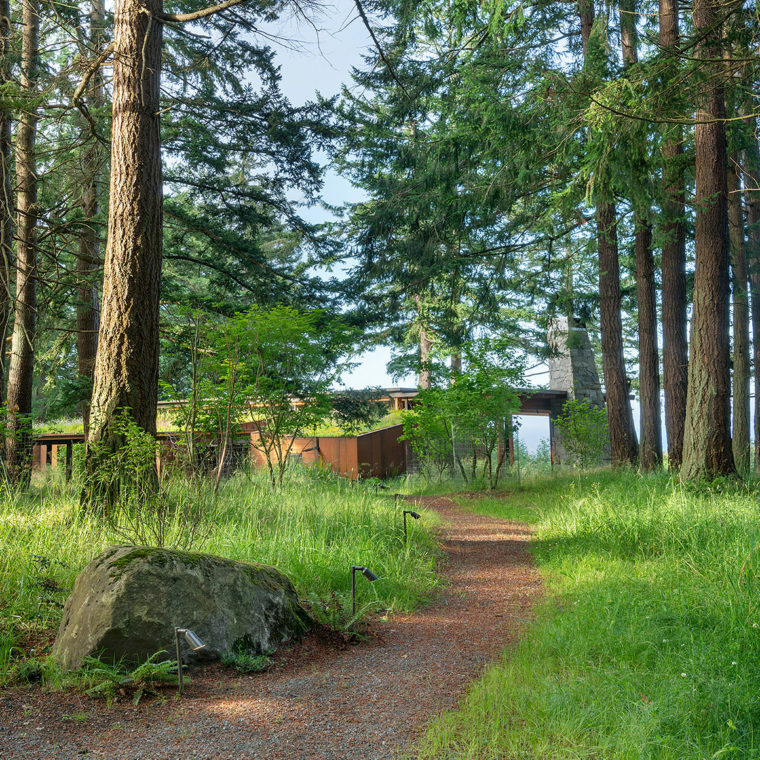 Context-sensitive design and sustainable strategies address water reuse, site impacts and visual character, maintaining ecological integrity to this site along the high bank bluff of Whidbey Island’s west side. 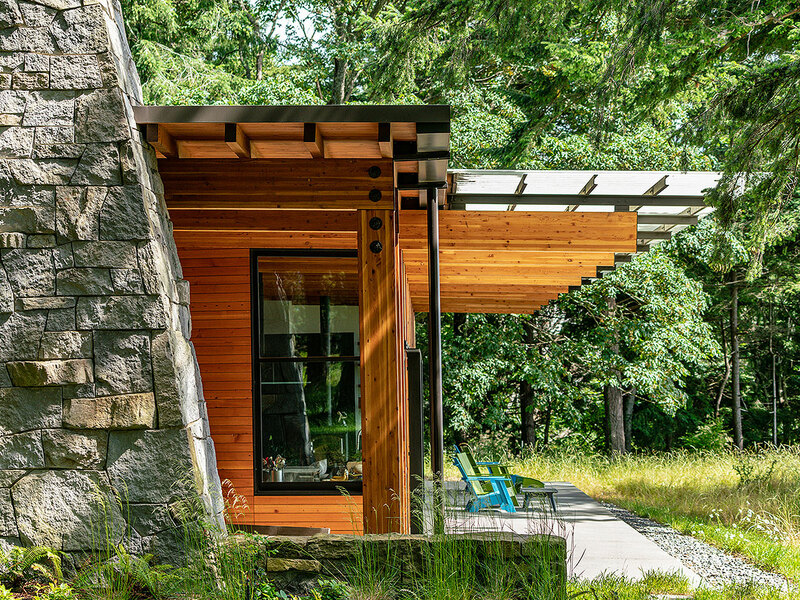 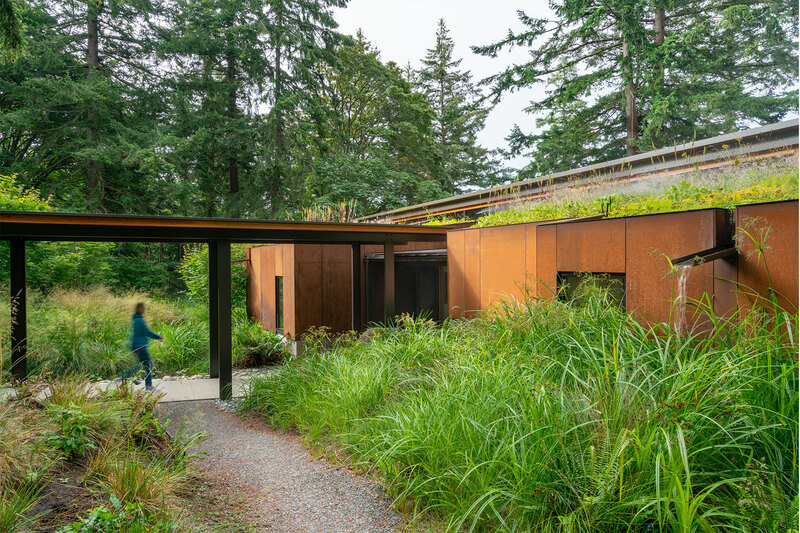 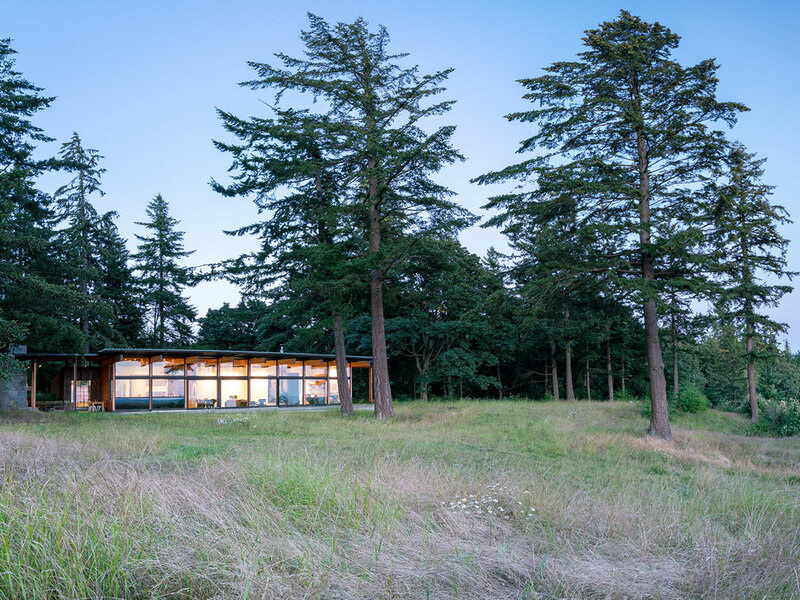 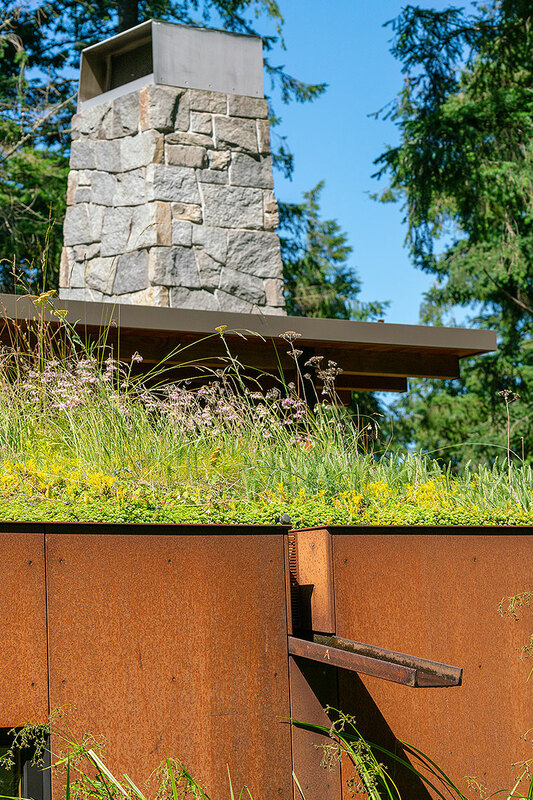 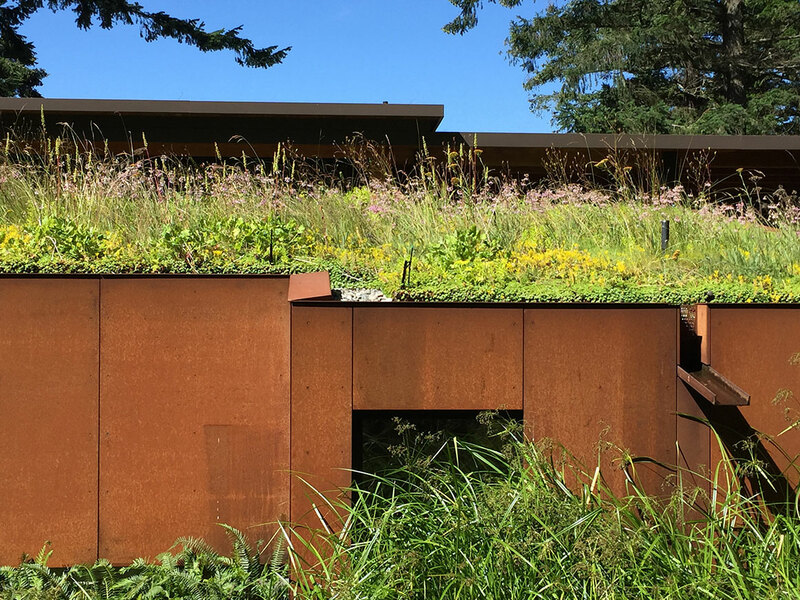 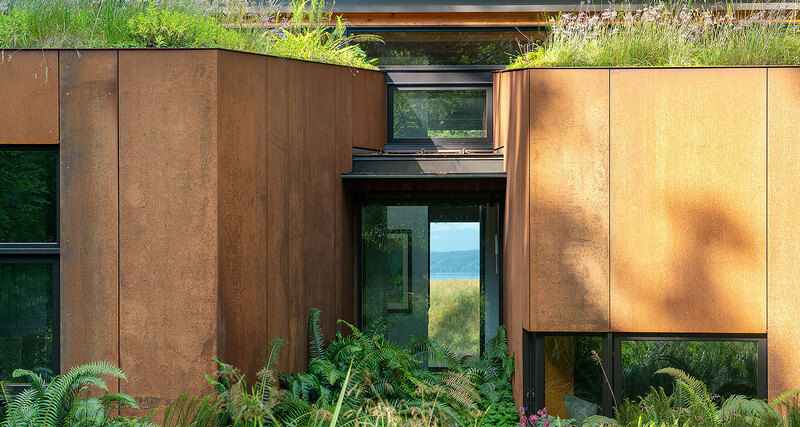 A bright green vegetated roof covers the forested side of the home, and scuppers direct rainwater into the absorbent landscape of the rain garden below. 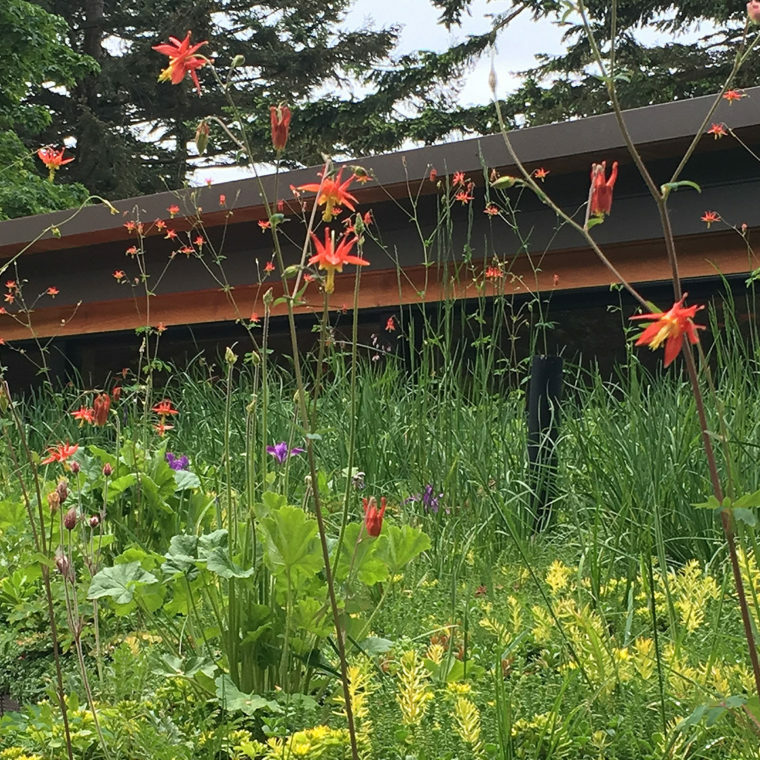 The roof combines red columbine, phlox, yarrow, and alpine anemone, grounding the architecture and adding to the immersive experience.